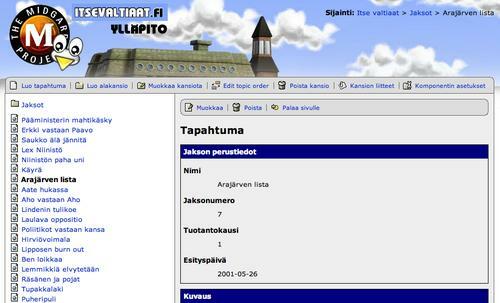 The Finnish Broadcasting Company launched today the website for Itse Valtiaat, a popular political satire cartoon series. The site user interface has been built with Flash to provide an interactive and animated world familiar from the series. 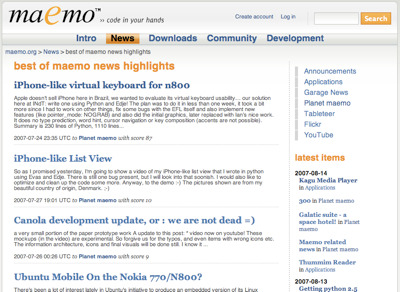 The Flash site has been built by Joonas Kallioinen from Piippunaakka, and it uses Midgard CMS as the back-end. 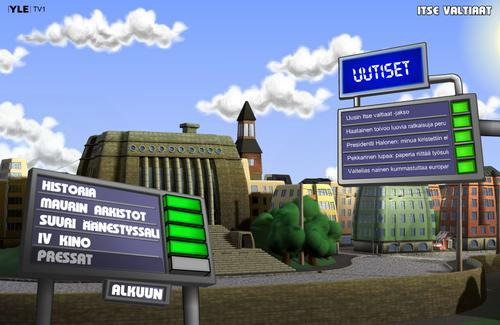 Different site areas are introduced by familiar characters from the series. Midgard CMS provides all content used on the site, and allows users to interact by voting their favorite episodes for reruns. The Flash front-end communicates with Midgard using XML requests to unique URLs of different content resources. The XML communications have been developed following the Ajax model. Midgard CMS provides a web-based content authoring interface used for all updates on the site, including video and image uploads. The Flash interface retrieves some parts of site content using RSS, and the feeds may be opened to public at a later date. Site’s hosting is provided by Nebula’s Midgard Web Hotel service.